If your family or a family you know with young ones has recently experienced a loss, you will want to have resources to help children grive. Reading is one of the best activities to help a child address grief. Stories are especially powerful in highlighting truths about what we humans feel and experience when dealing with a loss. The books listed below are generally regarded as classics. Many books become classics because they tackle deep and abiding human issues such as death, heartache, loss, and grief, as well as the positive sides of those issues: life, love, friendship, and joy. This can be done indirectly by showing characters as they experience the realities of life, or it can be done directly by didactic or allegorical lessons. This list of classic books to help children grieve includes both types. Some of these works are specifically about death, while most are helpful because of how the reader will identify with the main characters or specific incidents in the book. Black Beauty, for instance, is about the life of a horse and each chapter tells a different story from the horse’s life, only two of which address death. But those two incidents are impactful, and the rest of the book helps teach empathy and compassion for others, all of which are valuable assets for the grieving child’s mind and emotions. 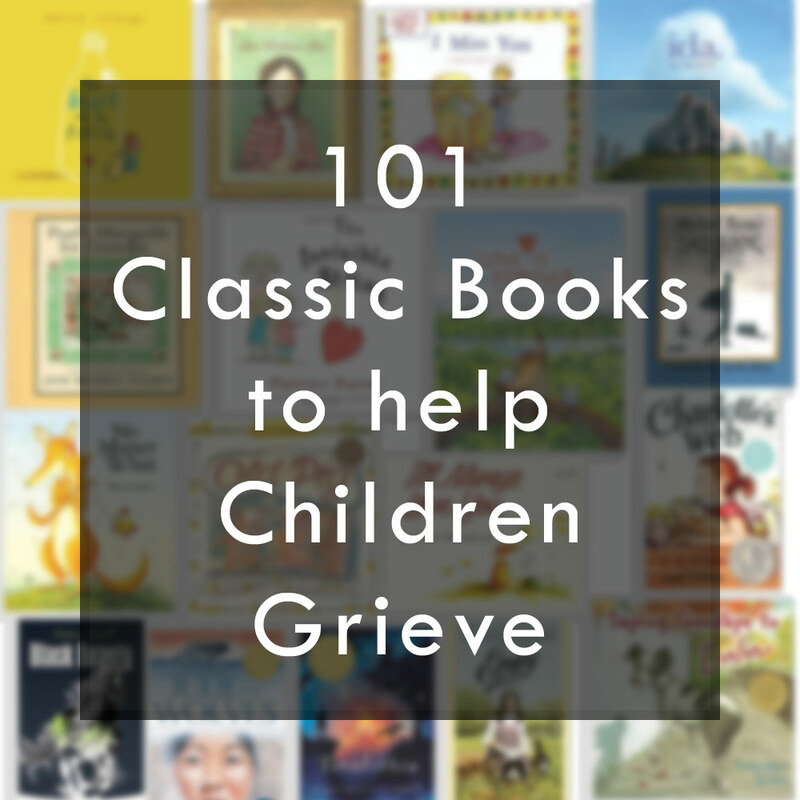 With this in mind, here is our list of 101 classic books to help children grieve. After Old Turtle swims his last swim and breathes his last breath, and the waves gently take him away, his friends lovingly remember how he impacted each and every one of them. A simple, lyrical book about the lasting legacy of a life well-lived, with beautiful illustrations that will be treasured by young and old alike. Available here. When Fox dies, Mole, Hare, and Otter are devastated. They feel they will never get over their great sadness. How can life go on without him? Then one day Squirrel comes to visit. She reminds Fox’s family of all the funny things he used to do. As the friends share a meal and tell their favorite Fox stories, they realize that in their hearts and memories Fox is still with them, and he will be – always and forever. Available here. Annie is a young Navajo girl who refuses to believe that her grandmother, the Old One, will die. With wisdom and patience, Annie’s grandmother teaches here through stories and legends that she cannot change the course of life. Available here. Warm and sensitive illustrations reflect the hopeful mood of this tale about woodland animals learning to accept their friend Badger’s death. Available here. Old Bear is dying, and he gathers his friends together to say goodbye. While all the animals are saddened by this news, Fox is especially distraught. How Fox and the other forest animals deal with the loss of their friend is a moving story about death, grieving, and the solace to be found in memory. Available here. The story of an oak tree named Bertolt and the introverted boy who finds refuge in its branches. This book is about the imagination and the wonderful ways in which we nurture ourselves in the process of becoming who we are, and because the tree dies in a winter storm, it is also a book about finitude and loss, sorrow and acceptance. Available here. With a gentle, playful rhyme, Newbery Medalist Cynthia Rylant (author of the popular Henry & Mudge series) explores all the ways our beloved cats enjoy Cat Heaven. Available here. Chester Raccoon’s good friend Skiddel Squirrel has had an accident and will not be returning – ever. Chester is saddened that he won’t get to see or play with his friend anymore. Chester’s mother suggests that he and his friends create some memories of Skiddel, to give them good memories when they miss him. So Chester, his brother Ronny, and their friends decide to gather at the pond and combine their memories to create a touching celebration of their friend’s life. Available here. When four siblings learn about their grandmother’s terminal illness, four siblings make a pact to keep Death from taking her away. But Death comes all the same, as Death must for all people. This story teaches the value of life and the importance of learning to say goodbye. Available here. In this heartwarming classic, some children find a bird lying on its side with its eyes closed and no heartbeat. They are very sorry, so they decide to say good-bye. In the park, they dig a hole for the bird and cover it with warm sweet-ferns and flowers, then sing sweet songs to send the little bird on its way. Available here. The reviews are mixed on this one: some love it, some loathe it. All agree that the book is odd, original, and intruiging. Perhaps best for older and thoughtful children, teens, and creative adults. The subject is the inevitability of death, examined through the perspective of a duck, with something of a deterministic or perhaps agnostic view of death. Available here. Book seven of eight in the Everett Anderson series. In a whimsical, non-rhyming poetry style, the reader journeys with young Everett as he learns to cope with the death of his father. Available here. A warm, wonderfully wise and strikingly simple story about a leaf named Freddie. How Freddie and his companion leaves change with the passing seasons, finally falling to the ground with winter’s snow, is an inspiring allegory illustrating the delicate balance between life and death. Available here. A beautiful story of a tree and a boy, with themes of sacrifice and unconditional love. Available here. Through the lens of a pet fish who has lost his companion, The Goodbye Book tells a moving and wholly accessible story about saying goodbye to someone you love. Touching upon the host of emotions children experience, the author reminds readers that it’s okay not to know all the answers, and that someone will always be there to support them. Available here. Mog was tired. She was dead tired…Mog thought, ‘I want to sleep for ever.’ And so she did. But a little bit of her stayed awake to see what would happen next. Mog keeps watch over the upset Thomas family, who miss her terribly, and she wonders how they will ever manage without her. Nothing happens for some time…then suddenly, one day, Mog sees a little kitten in the house. Available here. This is the concluding chapter in the Mog the Cat collection of picture books. Owen and his dog, Sheepie, are best friends. They like to play, take long walks, and chase each other in the yard. But Sheepie is getting old. He can’t fetch a stick as quickly as he used to, and sometimes Owen has to help him climb the stairs. Then one afternoon, Sheepie falls asleep by the big oak tree and doesn’t wake up. Owen has to part with his old pal, but his father helps him understand that Sheepie will always be part of their happy memories. With warm, gentle watercolor-and-gouache illustrations, this story teaches children about the feelings they have relating to the loss of a beloved family pet. Available here. Written by a guidance counselor, Death is Like a Snowflake tells the story of Little Tree after the death of his father and how he begins to learn to cope with his feelings and start the healing process. With the help and support of his family and friends, Little Tree learns addresses his grief by discovering what is really important in life, and that his fathers memory will carry on. Available here. I originally purchased this book for my 3 year old son, however, after reading it, I knew that it was much more than a children’s book. As a hospice bereavement counselor, this book is a wonderful addition to my professional library as well. In working with bereaved or grieving children, this book offers a simply story about loss, painful emotions, and enduring love. The story is simple enough for a youngster, but also profound enough for a teen or adult. Whether the loss is through death, divorce, or physical separation, this book has you covered. When Siobhan was just three years old, her mother died, leaving Siobhan and her father alone in their house in Dublin. They never talk about her, and now, at ten years old, Siobhan no longer remembers her mother’s face. But one day, she meets someone who recognizes her sadness, listens to her story, and gives her advice that will stay with her for years to come. Available here. When a close friend or family member dies, it can be difficult for children to express their feelings. This book helps boys and girls understand that death is a natural complement to life, and that grief and a sense of loss are normal feelings for them to have following a loved one’s death. Available here. Gus lives in a big park in the middle of an even bigger city, and he spends his days with Ida. Ida is right there. Always. Then one sad day, Gus learns that Ida is very sick and she isn’t going to get better. The two friends help each other face the difficult news with whispers, sniffles, cuddles, and even laughs. Slowly Gus realizes that even after Ida is gone, she will still be with him—through the sounds of their city, and the memories that live in their favorite spots. A sweet and heartwarming story for young children. Available here. A gentle, touching story of a boy and his dog as the grow together. When one morning the dog does not wake up, the boy and his family grieve and bury her. A simple, heartwarming picture book. Available here. Specifically written to address children’s fear of being apart from the ones they love, The Invisible String delivers a compelling message in today’s uncertain times that though we may be separated from the ones we care for, whether through anger, or distance or even death, love is the unending connection that binds us all. Available here. Losing a loved one is hard for anyone, especially a child who might be experiencing loss for the first time. This book gives caregivers and children a beautiful way to begin talking about loss and grief, and how to keep loved ones close in heart and mind through shared memories. Available here. See our full review here. Author Michael Rosen lost his son Eddie at 18 years of age. In his beautiful Sad Book, Rosen talks about his grief in simple, childlike, yet frank terms. This is a children’s book that doesn’t try to stuff death into a heartwarming allegory or use cliches to avoid talking about what’s really going on. It is a raw yet sensitive book, and can be something that you can use as a starting point to help your children think and talk about the grief they are experiencing. Publisher’s description says 9 and up; I would suggest 6 and up depending on the child. Available here. Tommy is four years old, and he loves visiting the home of his grandmother, Nana Downstairs, and his great-grandmother, Nana Upstairs. But one day Tommy’s mother tells him Nana Upstairs won’t be there anymore, and Tommy must struggle with saying good-bye to someone he loves. Updated with new, full-color illustrations, this classic story will continue to win the hearts of readers of all ages. Available here. “I’m grim and grumpy,” says Small to Large, “and I don’t think you love me at all.” But nothing could be further from the truth – and Large knows just the right words to reassure Small in this tender story about a child’s greatest worry and a parent’s endless capacity for love. Available here. Old Pig and Granddaughter have lived together for a long, long time. They share everything, including the chores, until the day when Old Pig does not get up as usual for breakfast. Calmly she pays her bills and puts her affairs in order. Then she takes Granddaughter on a last, long walk – looking and listening, smelling and tasting.Old Pig and Granddaughter say goodbye to each other in the best way they know. Available here. When Pearl arrives home from school one day, her mother is waiting to tell her that Grandpa has died. Pearl discovers a way to keep her grandfather’s memory alive–by bringing life to marigolds, as he did every year. This book is built around the ancient Jewish ritual of sitting shiva. Available here. When a child becomes aware of his pending death, and is given the opportunity to draw his feelings, he will often draw a blue or purple balloon, released and unencumbered, on its way upward. Health-care professionals have discovered that this is true, regardless of a child’s cultural or religious background and researchers believe that this is symbolic of the child’s innate knowledge that a part of them will live forever. The author uses softly-colored balloons with expressive faces to show the sorrow, concern and care that family and caregivers express towards terminally ill family members, and open a discussion about how to help someone facing such a situation. Available here. Ragtail, a young mouse, has just lost his best friend. As he tries to process this, Ragtail is swept away by confusing feelings of denial, anger, and sadness. With the help of a new friend, he learns to deal with these emotions and soon discovers the comfort that comes from remembering. Available here. Crystal had lived in the garden for many years. She was growing old. Zelda was just starting out in life. They were best friends. They read books together. They took trips together. And they talked about everything. But one day Crystal was not in the garden. She had died. In this gentle story, children learn, with Zelda, that true friendship is a gift that doesn’t die. Available here. The young narrator’s best friend, Rudi, is very sick, and it’s hard for her to understand. When Rudi dies, the narrator and the other children in school help to build a pond by the big knobby oak to remember him by. A hummingbird feeder that Rudi made hangs by the pond, and one day a special hummingbird comes to visit. . . . Based on a true story, Rudi’s Pond is an insightful book that will help young readers to deal with loss. Available here. In this heartwarming tale by Pulizer Prize-winning author Barbara Walsh, Sammy, the best hound dog in the whole wide world, loves his girl and she loves him. When illness cuts Sammy’s life short, the girl’s family keeps his spirit alive by celebrating his love of chasing wind-blown bubbles, keeping loyal guard at night, and offering his velvety fur for endless pats and tummy scratches. Available here. Lulu is the very best friend a girl could ever want. They play together, snuggle together, explore the neighborhood together. But as Lulu grows older and nears the end of her life, the little girl must face the sad possibility of losing her dear friend and learn to cope with the death of her canine companion. This is a helpful book because it allows the young reader to wrestle with the death of a loved one indirectly, through the relationship of a girl and her dog. Available here. A little boy responds to his mother’s death in a genuine, deeply moving story leavened by glimmers of humor and captivating illustrations. With tenderness, touches of humor, and unflinching emotional truth, Charlotte Moundlic captures the loneliness of grief through the eyes of a child. Available here. Warm illustrations convey the deep bond between an old man and his six cats while teaching the reader about the cycle of life. Available here. First published in 1988, Someone I Love Died has long comforted the hearts of children 4 to 8 who have lost someone close. It gently leads children through grief with age-appropriate words and solid biblical truth that understands a child’s hurting heart. Includes interactive resources that ensure this book will become a treasured keepsake. Once complete, the children will have a creative memory book of the loved one’s life. Available here. Written by a licensed psychologist to aid families and professionals alike in the very difficult task of explaining death to a very young child. Age-appropriate and sweetly told stories, illustrations, and concepts explained. Available here. A beautifully illustrated edition of the classic Russian folktale. In all the world there is said to be nothing more beautiful than the Firebird. When Ivan-Tsarevitch, youngest son of the Tsar, goes on a quest for the amazing bird, he finds himself flying over mountains and woods on a talking wolf, confronting a wicked Baba Yaga, and rescuing an enchanted princess from Koshchei the Immortal. Available here. While Oz and Wonderland are enthralling in their own way, there’s nothing make-believe about Heaven, the Ultimate Land of Surprises. Not sad or somber, this beautifully illustrated and fluidly rhyming book is a collection of joy, comfort, and hope featuring over 40 Bible promises. A book is a celebration for every reader of every stage of life. Available here. A rough, tough, gruff, and fearless pirate is grief-stricken when his parrot dies. Available here. A graceful fable written by Doris Stickney who sought a meaningful way to explain to neighborhood children the death of a five-year-old friend. The classic story is expanded into an attractive coloring book. Available here. When Trevor Romain’s father died, Trevor didn’t know what to feel, say, or do. Shocked, saddened, and confused, all he could say was . . . wow. As he started understanding what had happened, he began writing about his experiences and feelings. His new book—simple, insightful, and straight from the heart—is for any child who has lost a loved one or other special person. Available here. What’s Heaven? is the story of Kate, a little girl whose great-grandma has just died. She seeks answers, and her mother helps her learn about Heaven. The many questions in this book are real, coming from Shriver’s own children, nieces, and nephews when her grandmother Rose Fitzgerald Kennedy passed away. Available here. The iconic Fred Rogers of Mr. Rogers’ Neighborhood helps children share feelings of the loss of a pet while offering reassurance that grieving is a natural, healing thing to experience. Available here. Straightforward and compassionate, When Dinosaurs Die explains death, dying, and coping with grief and loss in simple and accessible language for young kids and families using a friendly cast of dinosaurs. Available here. Children wonder about heaven, especially when someone they love goes there. They have questions they are often afraid to ask to grieving adults, and need reassurance that their feelings are normal. Available here. This book helps teach the basic concepts of death to young children, and in so doing aids them in understanding and expressing the many feelings the experience when someone very special to them dies. Available here. A kind and supportive text with beautiful illustrations, Where Are You? is designed to help children of all ages cope with the loss of a loved one. It is written and illustrated with gentle and caring simplicity so that even the youngest readers will find comfort during a sad and difficult time. Available here. Bella is a little girl who adores Gogo, her pet dog. When she learns of Gogo’s sudden passing, she experiences some difficult thoughts and emotions for the first time. With some help from her parents, Bella opens her mind and heart to discover the happiness that lies beyond grief. The loss of life is difficult to understand and accept, for adults and children alike. “Where The Tomorrows Go” is a journey of the heart that parents can use as a tool to have a meaningful conversation about this emotional subject with their little ones. Available here. This book is a classic, specifically addressing the grief faced by a young child who is grieving the death of a sibling. Using simple and easy to understand language alongside childlike illustrations, this book deals with many of the questions young children might ask in a gentle and age-appropriate tone. Available here. Here are some chapter books for beginning readers. Ideal for readers at around age 7 and up, these easy reader books develop their themes over longer, more in-depth storytelling, while still being fairly easy to read. An urban African-American boy transcends the loss of loved ones with help from a caring elderly mentor and from the sustaining ability to create art. Bird looks back and remembers his once-admired older brother Marcus’s slow descent into drug addiction, expulsion from the family home, and ultimate death—a death that ostensibly led to the decline and death of his beloved grandfather as well. Wise Uncle Son picks up where Granddad leaves off and becomes the steadying and inspiring influence in Bird’s life as he learns not only the hard lesson that, “You can’t fix a broken soul,” but also to look to the future with confidence. Available here. The orphaned Alden children must go live with their grandfather, whom they have never met. Afraid for their future, the children decide to forge a life on their own and eventually find an abandoned boxcar, in which they make a life together as a family. Boxed set of 12 books is available here. Heartwarming barnyard story about a spider and a pig. Lessons of loss and friendship throughout. A classic for all time. Available here. Don’t let the cover of this underappreciated classic fool you. The Empty Window is the inexplicable story of young C.G. who is determined to capture a parrot for his dying friend. Available here. The star of her school’s running team, Sadako is lively and athletic…until the dizzy spells start. Then she must face the hardest race of her life—the race against time. Based on the touching and true story of a terminally ill girl, Sadako and the Thousand Paper Cranes celebrates the gentle spirit and courage one young woman who became a heroine in Japan. Available here. Norma Simon offers three stories to help children talk about death–an uncle with a terminal illness, a classmate killed in an accident, and a grandparent. In the words of one reviewer, “This is my go-to book for my kids whenever we are faced with a loss situation, and I have shared it with friends who have experienced loss. I love that it doesn’t try to offer any “answers,” or make sense of the deaths. It is matter-of-fact, straightforward but also gentle and affirming.” Available here. Based on a Rocky Mountain folktale, Stone Fox tells the story of Little Willie and his quest to save the family farm. When his grandfather gets ill and can no longer work the farm, Little Willie decides to enter and win the National Dogsled Race—the prize money would save the farm and his grandfather. But he isn’t the only one who desperately wants to win. Willy and his brave dog Searchlight must face off against experienced racers, including a Native American man named Stone Fox, who has never lost a race. Available here. As one reviewer notes about this book, “It only looks like it’s for children.” The book never states exactly what the main character has lost, which gives the message an applicability to all kinds of life situations. Pictures, recipes, cooking tips, and grief tips are woven into a simple and touching story that teaches all – young and old alike – about grief. Available here. A small boy very much loves his cat, Barney. When the cat dies, his mother suggests a funeral for him and tells the boy to think of ten good things about Barney, but he can only come up with nine. Available here. At first a brand-new toy, now a threadbare and discarded nursery relic, the velveteen rabbit is saved from peril by a magic fairy who whisks him away to the idyllic world of Rabbitland. There, he becomes “Real,” a cherished childhood companion who will be loved for eternity. Available here. Most of these books are aimed towards children 10 and up, teens, and young adults – though many adults will enjoy and benefit from these books as well! Originally published in 1872, A Dog of Flanders tells the moving story of Nello, a gentle boy with aspirations of becoming a painter, and Patrasche — his devoted Belgian work dog. The two, along with Nello’s grandfather, live in a little village near Antwerp where Nello’s idol, the artist Rubens, once worked. Nello and Patrasche suffer countless hardships — poverty, hunger, cruelty, and rejection. But they persevere in the face of adversity, up to their tragic, bittersweet end. Available here. Because of Winn-Dixie, a big, ugly, happy dog, 10-year-old Opal learns 10 things about her long-gone mother from her preacher father. Because of Winn-Dixie, Opal makes new friends among the somewhat unusual residents of her new hometown, Naomi, Florida. Because of Winn-Dixie, Opal begins to find her place in the world and let go of some of the sadness left by her mother’s abandonment seven years earlier. Available here. Kino lives on a farm on the side of a mountain in Japan. His friend, Jiya, lives in a fishing village below. Everyone, including Kino and Jiya, has heard of the big wave. No one suspects it will wash over them, until the rushing water sweeps away the whole village—including Jiya’s family. As Jiya struggles to overcome his sorrow, with the help of Kino and his father, he comes to understand that it is only in the presence of danger that one learns to be brave, and that even in the face of terrible tragedy, life and love are stronger than death. Available here. Told from the perspective of the horse, this classic children’s book is the “autobiography” of Black Beauty, a young colt whose life leads through a variety of owners and experiences including carefree and happy days as well as trials, cruelty, and hardship. Each chapter recounts a specific incident in Beauty’s life, often teaching a moral or lesson relating to animal treatment, kindness, empathy, sympathy, and more. Available here. Jess and Leslie are two fifth graders who find a special friendship in an imaginary kingdom in the woods called Terabithia. Their secret, hidden kingdom is their sanctuary, a special place where adventures are had and friendships grown, until a tragedy strikes that separates them forever. A very striking and emotional book. Available here. Winner of the 2015 Newberry Medal. Dread-locked 12-year old Josh Bell and his twin brother Jordan are awesome on the court. But Josh has more than basketball in his blood, he’s got mad beats, too, that tell his family’s story in verse, in this fast and furious middle grade novel of family and brotherhood. Josh and Jordan must come to grips with growing up on and off the court to realize breaking the rules comes at a terrible price, as their story’s heart-stopping climax proves a game-changer for the entire family. Available herete. A less-well-known but equally excellent series by the author of Anne of Green Gables. The first Emily book opens with the death of young Emily’s father, and the book follows the whimsical Emily as she is sent to live with her snobbish relatives, grieves the loss of her father, and makes new friends. Many Anne-like adventures ensue. Available here. Please note: This book deals with issues of child abuse. Please consult further reviews to determine if this is appropriate for your child. London is poised on the brink of World War II. Timid, scrawny Willie Beech–the abused child of a single mother–is evacuated to the English countryside. At first, he is terrified of everything, of the country sounds and sights, even of Mr. Tom, the gruff, kindly old man who has taken him in. But gradually Willie forgets the hate and despair of his past. He learns to love a world he never knew existed, a world of friendship and affection in which harsh words and daily beatings have no place. Then a telegram comes. Willie must return to his mother in London. When weeks pass by with no word from Willie, Mr. Tom sets out for London to look for the young boy he has come to love as a son. Available here. A modern classic for all ages. Harry is an orphan who discovers he has magical wizarding powers. Not only will Harry relate to kids as a fellow young one who has lost a parent, but there are many instances throughout the books that deal with death, life, and redemption. An entertaining storyline with powerful underlying themes. The stories start for fairly young readers, and grow more mature as the series progresses, effectively aging along with the characters. Available here. To her small Eskimo village, she is known as Miyax; to her friend in San Francisco, she is Julie. When her life in the village becomes dangerous, Miyax runs away, only to find herself lost in the Alaskan wilderness. Miyax tries to survive by copying the ways of a pack of wolves and soon grows to love her new wolf family. Life in the wilderness is a struggle, but when she finds her way back to civilization, Miyax is torn between her old and new lives. Is she Miyax of the Eskimos—or Julie of the wolves? Available here. In this classic allegorical fantasy, children sent out to the English countryside to avoid the bombings of WWII discover a wardrobe that turns out to be a portal to another world. In it, a cruel witch reigns and a spell of ice and winter is over the land. When the eponymous lion returns, bringing spring and renewal to the land, he makes the ultimate sacrifice to break the curse and defeat evil. Available here. In WW-I era Britain, young Sara is relegated to servitude at a boarding school when her father goes missing and is presumed dead. As she struggles to keep her spirits up, she makes some remarkable discoveries – and lasting friends – that may change her seemingly bleak fate. Available here. Grown-up Meg, tomboyish Jo, timid Beth, and precocious Amy. The four March sisters couldn’t be more different. But with their father away at war, and their mother working to support the family, they have to rely on one another. Whether they’re putting on a play, forming a secret society, or celebrating Christmas, there’s one thing they can’t help wondering: Will Father return home safely? The idyllic dynamics of Civil War-era life ring true in this classic novel because the characters and situations resonate so deeply with readers of all ages. Available here. Nightmarish, sad, dark, yet filled with moments of humor, truth, and life. This novel is an unflinching, darkly funny, and deeply moving story that centers on a boy, his seriously ill mother, and an unexpected monstrous visitor. The themes of death and grief are explored through a tale that uniquely captures the way a child might experience them. Available here. Ms. Bixby is the sort of teacher who makes you feel like school is somehow worthwhile. Who recognizes something in you that sometimes you don’t even see in yourself. Who you never want to disappoint. Who is truly one-of-a-kind. So when Ms. Bixby announces that she needs to leave the school – due to terminal cancer – Topher, Steve, and Brand come up with an elaborate plan to honor her. In alternating chapters, we find out the back story of why each of the three boys have connected so deeply with their beloved teacher. A warm, funny, and emotionally satisfying read. Available here. All his life, Tim Meeker has looked up to his brother Sam. Sam is smart and brave, and is now a bold part of the American Revolution. But not everyone in town wants to be a part of the rebellion. Most are supporters of the British – and this includes Tim and Sam’s father. With the war raging closer and closer, Tim know he’ll have to make a choice. And not just between the Revolutionaries and the Redcoats . . . between his brother and his father. Unflinching historical fiction that looks squarely at war and family issues, yet at an appropriate level for young teens. Available here. This eloquently simple story of a boy and his dog in the Texas hill country is an unforgettable and deeply moving experience. When his father sets out on a cattle drive for the summer, fourteen-year-old Travis is left to take care of his family and their farm. Throughout the story he faces new, unanticipated and often perilous responsibilities in the wilderness of early frontier Texas. But Travis is not alone. He finds help and comfort in the courage and unwavering love of the stray animal who comes to be his most loyal and very best friend: the big yellow dog Travis calls “Old Yeller.” Available here. Having spent twenty-seven years behind the glass walls of his enclosure in a shopping mall, Ivan has grown accustomed to humans watching him. He hardly ever thinks about his life in the jungle. Instead, Ivan occupies himself with television, his friends Stella and Bob, and painting. But when he meets Ruby, a baby elephant taken from the wild, he is forced to see their home, and his art, through new eyes. A newer work in the tradition of Charlotte’s Web and Stuart Little, this illustrated novel is a beautiful portrait of life, captivity, death, and hope told through the eyes of a gorilla. Available here. Born and raised in India, young Mary Lennox loses both parents at the very beginning of the book and is sent off to England to live with her uncle in a strange and mysterious manor. This is the story of Mary adapting to loss and a new life, aided by the discovery of a secret garden. Available here. It is 1963, and seventh grader Arthur Owens is mourning his father’s death. In the Washington, DC, neighborhood where Arthur lives with his mother and sister, an old black man rummages through trash cans for glass bottles, foil, cardboard, pieces of wood, lightbulbs, coffee cans, and mirrors. When Arthur sees the junk man, wearing his dad’s discarded Harley Davidson ball cap, he hurls a brick at the old man. Arthur gets three weeks in juvie and at the junk man’s request is sentenced to 120 hours helping him collect these seven most important things. Based on the real life of folk artist James Hampton, The Seventh Most Important Thing is an unusually stirring and critically lauded portrait of life, death, and redemption. Available here. This Newbery Award-winning novel quickly became a classic as a moving portrayal of resilience and hope in the face of profound human tragedy. Available here. With brief entries such as “Accidental Death,” “Self-Inflicted Death,” “Talking,” “Crying,” and “Going Nuts,” Grollman offers advice and answers the kinds of questions that teens are likely to ask themselves when grieving the death of someone close. Available here. Jamie isn’t afraid of anything. Always ready to get into trouble, then right back out of it, he is a fun albeit exasperating best friend. But when something terrible happens to Jamie, his best friend has to face the tragedy alone. Without Jamie, there are so many impossible questions to answer – how can someone you love be gone forever? How can some things, like playing games in the sun or the taste of the blackberries that Jamie loved, go on without him? Available here. Suzy’s best friend was a very good swimmer, and when she dies in a drowning accident Suzy becomes convinced that the true cause must be a jellyfish sting. After all, everything happens for a reason. As Suzy explores this possibility, she partakes in an adventure of exploration to the ends of the earth and the far stretches of her imagination. The reader will follow Suzy’s ups and downs through an inner dialogue that swings from humorous to deeply emotional as she processes her grief at the unexpected death of her friend. Available here. What does it take to recover from tragedy? Davey Wexler has never felt so alone. Her father has just been killed—shot in a holdup at the 7-Eleven near their home. And now her mother has transplanted her and her little brother to Los Alamos, in New Mexico, to stay with family and recover. But Davey is withdrawn, full of rage and fear and loneliness. Then one day, while exploring a canyon, she meets an older boy who calls himself Wolf. Wolf is the only one who understands her—the only one who can read her sad eyes. And he is the one who helps her realize that she must find a way to move forward with her life. Available here. Doomed to―or blessed with―eternal life after drinking from a magic spring, the Tuck family wanders about trying to live as inconspicuously and comfortably as they can. When ten-year-old Winnie Foster stumbles on their secret, the Tucks take her home and explain why living forever at one age is less a blessing that it might seem. Complications arise when Winnie is followed by a stranger who wants to market the spring water for a fortune. Available here. “One of the great classics of children’s literature . 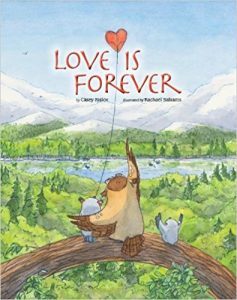 . . Any child who doesn’t get to read this beloved and powerfully emotional book has missed out on an important piece of childhood for the last 40-plus years.” From a review by Common Sense Media. An undisputed classic. whereAvailable here. Children Also Grieve is an imaginative resource, fully illustrated with color photographs, that offers support and reassurance to children coming to terms with the loss of a close friend or relative and to adults who are supporting them through their bereavement. Includes resources for children, and for adult in helping children with grief. Available here. A straightforward yet tactful introduction to the details of death, funerals, cremation, and burial. Includes appropriate photographs of what a child will most likely actually see or encounter, without any sort of graphic photos or images of deceased people. The photos themselves are in black and white and aren’t up to modern standards, but they convey the idea. A clear and concise introduction to death and funerals for children of any age. Available here. With sensitivity and insight, this series offers suggestions for healing activities that can help grieving children learn to express their grief and mourn naturally. Acknowledging that death is both painful and an ongoing part of life, the author explains how people need to slow down, turn inward, embrace their feelings of loss, and seek and accept support when a loved one dies. Includes 100 age-appropriate ideas and activities that will aid children in processing their thoughts and emotions. Available here. Just like the above book for children, but with ideas and suggestions for grieving teenagers. Available here. Prolific Christian author Randy Alcorn adapts his classic work Heaven for young children. A solid, Biblically-based answer to everyone’s most common questions about heaven and the afterlife, based on years of careful study. Presented in an engaging, reader-friendly style, his conclusions will surprise readers and stretch their thinking about this important subject. Available here. An art therapy and activity book for children coping with death. Sensitive exercises address all the questions children may have during this emotional and troubling crisis. Children are encouraged to express in pictures what they are often incapable of expressing in words. Available here. A straightforward, simple introduction to death for children. When the death of a relative, a friend, or a pet happens or is about to happen . . . how can we help a child to understand? Matter of fact details of the cycle of life supplemented by elegant artwork. Available here. This activity book offers invaluable, practical, and sensitive support for bereaved younger children. Beautifully illustrated, it suggests a helpful series of activities and exercises accompanied by the friendly characters of Bee and Bear. Muddles, Puddles, and Sunshine offers a structure and an outlet for the many difficult feelings which inevitably follow when someone dies. The purpose of this book is to help children make sense of their experience by reflecting on the different aspects of their grief. At the same time, the book manages to find a balance between remembering the person who has died and having fun. Available here. In this classic and much beloved allegorical tale, we follow the exploits of Scarboy and his life in the Enchanted City, where the “imperfect” are cast away and orphans are enslaved. Scarboy manages to escape the evil Enchanter to safety in Great Park, but has yet to confront his greatest fear-and he’ll need enormous courage to conquer it! Through twelve stories that build upon each other yet work individually as bedtime stories, the authors display wonderful biblical truths about God, mankind, sin, the need for a savior, and the beauty of God’s grace in the gospel. All this is done in a way that enthralls young and old readers alike. Though not specifically about death, the stories have a similar value as fairy tales in addressing the common fears and desires of all people, and provides pointers towards our need for redemption and God’s grace. Highly recommended. Available here. Why do people die? How do you explain the loss of a loved one to a child? This classic book is a compassionate guide for adults and children to read together, featuring a gentle read-along story and answers to common questions children ask about death. Available here. The first section of Why Did You Die? is for adults. It describes a child’s grief process and what can be expected as it progresses. The latter section includes activities you can do with a grieving child. Using an art therapy approach, the activities guide the child through the issues he or she must eventually confront. Different activities help the child express difficult feelings, separate myths from facts, and understand the finality of death. Available here. Did we miss any of your favorites, or ones that have been helpful in your experience? Leave a comment below!